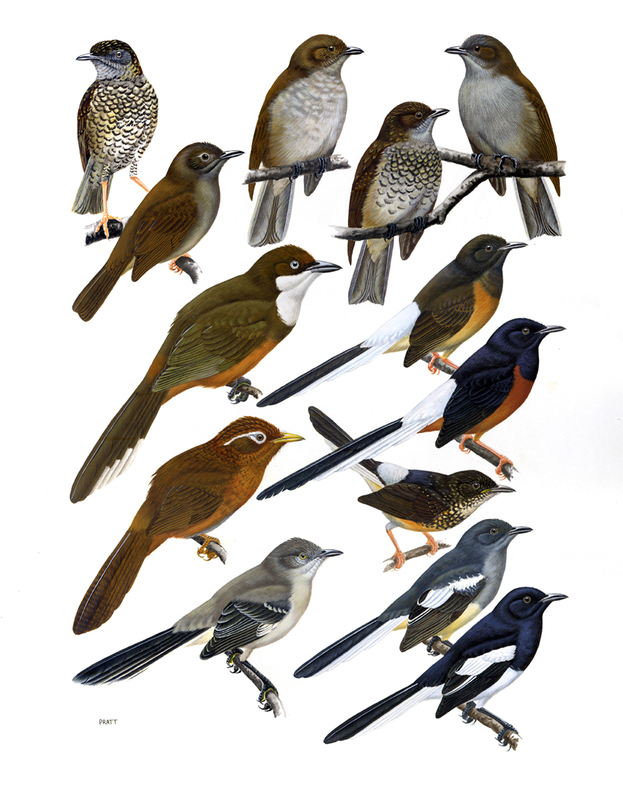 This plate shows a bird, the White-throated Laughingthrush 3rd from top left, that was included in error. For decades, the Greater Necklaced Laughingthrush, introduced on Kauai, had been misidentified as this species. Individual figures have been used in other venues and some may be used in the new edition of the book.